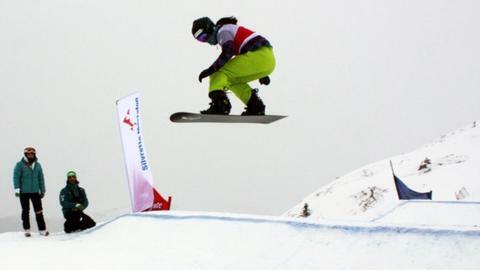 British snowboard cross rider Zoe Gillings finished 10th at the World Championships in Canada. She battled through the quarter-final, in which there was a pile-up of riders, before being knocked out in the semi-final. British snowboard director Colin Holden tweeted: " Zoe was 4th in small final to finish 10th overall - unlucky today with riders falling in front of her." The 27-year-old from the Isle of Man admitted it was a tough course. Gillings has never won a medal at the World Championships, with seventh place her best result. In the World Cup, in which she has had seven podium results, she is seventh in this season's standings with four races remaining having started the season in December with a in Austria before picking up a in America.